Helping accommodation businesses to better manage their reservations, payments and increase sales. Using ReserveBB's integrated secure booking system has streamlined the booking process for both us and our guests. A simple, streamlined checkout and payment process. Authorize.net and Stripe support. 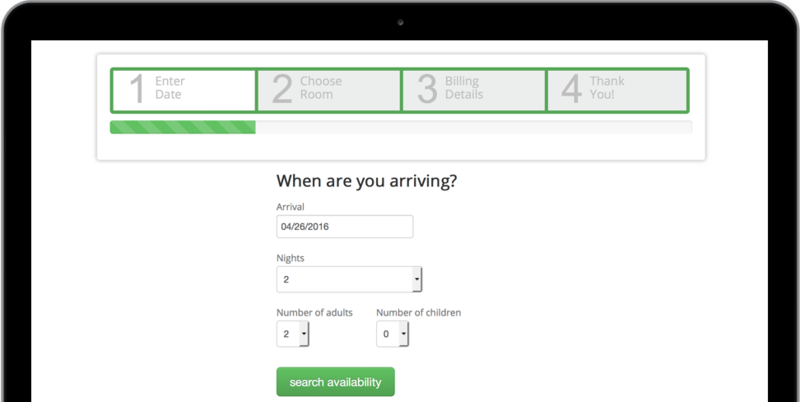 Guests can search for available rooms by date. Manage rooms set rates, minimum night stays, blocked dates, availability and more. Once setup, just add a link from your existing website to your ReserveBB search. View future and past reservations on a calendar and list report. SSL data encryption (same as online banks) for secure transactions. Daily data backups to prevent permanent data loss. Take advantage of our free setup services and support to get started quickly. Honest prices, no surprises. Monthly pay as you go. No transaction fees. No long-term contracts. Larger enterprise plans available upon request.